I'm a second-generation cabinet maker & designer with 30+ years of personal experience and have a commitment to excellence. At Wood Kitchen and Bath, I cater my designs to my clients preferences. At Rivera’s Flooring, Kitchens & More, we pride ourselves on providing superior customer service, the most up-to-date information on flooring materials & the latest in kitchen & bath design solutions. We are family owned and operated. A company built on quality and integrity, pursuing excellence In everything we do. Our goal is to build a life-long relationship with every customer. We hope that you will allow us the pleasure of serving you. Whether you just have some general plumbing needs or you want a dream kitchen or bathroom built, we can do it! Contact us at 352-615-1250 or 352-259-0071 and let us "Brighten Your Day". When it comes to getting the finest in granite, marble and other natural materials for your kitchen remodeling or bathroom remodeling project, look no further than our experts at The Gallery of Stone. For over 12 years, we have been providing Orlando and Clermont, Florida homeowners with the finest granite fabrication for granite countertops for both the kitchen and bathroom. We also craft quartz countertops. We don’t stop there either – we are also kitchen remodeling contractors, and you can expect the best in everything we do, including kitchen backsplashes, and kitchen cabinets. We also build exterior kitchens. 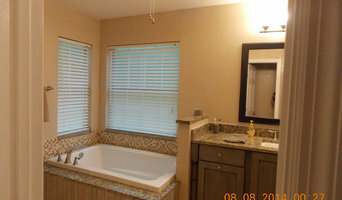 As a bathroom remodeling contractor, we do bathroom cabinetry, bathroom backsplashes, marble countertops & vanities. Give us a call today for a free estimate on kitchen renovations or bathroom renovations. Family owned and operated business located in Clermont, Fl with more than 12 years experience in kitchen granite counter tops and marble vanities. Specialize in all aspects of remodeling. From whole house remodels to one room, no job to big or small. Throughout my 20-year history as a contractor, I have learned that successfully completed projects require more than just technical skill. Equally important are communication and attention to detail. When considering a project, I begin by taking the time to understand your vision, working with you to identify and clarify your needs. When offering suggestions, I always take into consideration your style, budget, and priorities. Along the way, I provide you with detailed information about challenges, changes, timelines, and pricing, to avoid any surprises. From the start of your project through its completion, I promise you will get thoughtful service and unparalleled workmanship every step of the way. DHI is a small family owned remodeling business. We enjoy forming long-lasting relationships with our customers. We keep most of the work in-house, so the owner is on the job site almost all the time. With over 16 years experience in the local area, we are familiar with how the homes in this area are constructed and are not surprised by much. Along with remodeling we also do home maintenance and repair work. Central Florida Kitchen and Bath Surfaces, Inc.
We have been serving central Florida for over 10 years. the owner, Omar Villeda, and the sales staff have over 20 years of experience in the Granite, quartz and solid surface, countertop business. CFKBS is driven by the need to provide a quality service with customer satisfaction in mind. CFKBS specializes in the fabrication and installation of granite and quartz countertops. CFKBS offers a unique solid surface material, TerraStone, that is manufactured at their Ocala facility. CFKBS also offers a wide variety of quartz countertops such as Silestone, Cambria, LG Viatera, and Caesarstone. Our installation and fabrication methods are incomparable to those of other local fabricators. Ask us why. Madewell Kitchens is a family owned and operated business that has been serving the greater Tampa Bay area for over 33 years. Being a family business allows us to offer a more personal level of service to our customers which includes direct contact with the owners and in-house installation and service personnel. Madewell Kitchens has the experience to get the job done whether it's a single vanity or supplying cabinets and countertops for a whole community that is being built. Madewell Kitchens also offers cabinetry for commercial spaces, Doctors offices, Retail spaces, Reception desks, Work stations and file rooms. No job is too big or small. Quadrati Inc. is owned by Leonardo Cerutti who worked in Italy for a year and in Spain for four years with floors and remodeling homes before moving to the U.S.
At Canfield Construction Inc., we specialize in top quality work and personalized service for your indoor and outdoor remodeling needs. We’re full-service residential contractors who can help you achieve the living area you’ve always wished you could have. R.E. Robinson Remodeling and Custom Builder, LLC. is determined to be the best remodeling and construction team in Gainesville, Florida focused on excellence in quality and service for home owners. To deliver, achieve and surpass the expectations of our customers. To provide elite service by building on experience and reputation through improving family homes one home at a time. We will be the best Remodeler and Builder in Gainesville through building relationships, futures and fulfilling promises to each and every client. *Authorized Waypoint Living Spaces Dealer* Everything we sell is designed to inspire and excite you about your home design. Our designs are specific to your needs. We’ve made it possible for you to browse and purchase products for all your kitchen, bath and flooring needs. No need to worry about coordinating colors and finding complementary accessories because our designers are here to help you! Not only will you spend less time shopping for cabinets, countertops and floors, you’ll also spend less money. We offer high end products for low prices here at FCQuality. While our products keep you up to date on the latest trends, our sales associates keep you satisfied with the FCQuality services. Always knowledgeable and willing to help, our employees are here to provide you with the hassle-free showroom environment that puts customers at ease while they browse our large selection. Our delivery service is also top-rate and our state-of-the-art distribution centers help us provide you with your selections within days of purchasing. Our in-house financing makes FCQuality your convenient one-stop shop for all your kitchen, bath, and flooring needs. Billy Patrick Construction, LLC is in the business of making your dream home a reality! 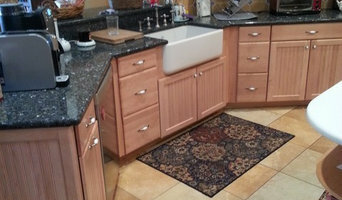 We specialize in the custom fabrication and installation of countertops. In our 15+ years of experience, we have built custom kitchens, bars, summer kitchens, bath vanities, table tops and spillways for pools, fireplace surrounds and mantels. We pride ourselves on our honesty, fair pricing, and attention to detail. Kitchens and bathrooms are two of the hardest-working spaces in any home. When it’s time to update them, ensure that they stay at peak functionality by hiring a Citrus Hills kitchen and bathroom remodeler. With an eye for aesthetics, a practical approach to layout and design, and the skills of a contractor, a bath or kitchen remodeler in Citrus Hills, FL can help you execute a remodel suited your personal style and needs. What does a Citrus Hills kitchen and bath remodeling expert do? Licensed Florida kitchen and bath remodelers are contractors who specialize in altering the structure of an existing space, rather than building one from the ground up. Because he or she must deal with a previous builder’s work, the job can get more complicated than new construction. You might wonder why they often specialize in both kitchens and bathrooms, but if you think about those two spaces, they actually have a lot in common. Kitchens and bathrooms include an abundance of fixtures that require careful planning and installation, including sinks, faucets, tubs and toilets that all need water hookups and drainage. They also use similar materials, such as tile and stone for countertops and flooring, due to the nature of their use. So it makes sense that Citrus Hills kitchen remodelers and bathroom remodelers be one in the same. A bathroom or kitchen remodeler translates architectural plans from page to reality; some are also trained to provide design services so that you don’t have to hire a separate pro. Like a general contractor, a kitchen and bathroom remodeler in Citrus Hills, FL is responsible for hiring and supervising subcontractors and providing materials when necessary. They also should have a thorough knowledge of Florida building codes and construction-related legal issues, as well as current design and product trends. Here are some related professionals and vendors to complement the work of kitchen & bath remodelers: Woodworkers & Carpenters, Kitchen & Bath Designers, Interior Designers & Decorators, Architects & Building Designers, General Contractors. 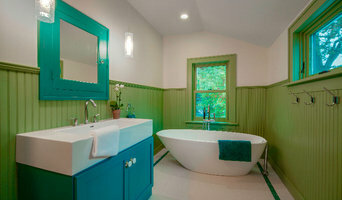 Find a Citrus Hills kitchen and bathroom renovator on Houzz. Narrow your search in the Professionals section of the website to kitchen and bathroom remodelers in Citrus Hills, FL. You may also look through photos of Citrus Hills, FL spaces to find kitchens or bathrooms you like, then contact the bathroom or kitchen remodeler who worked on it.